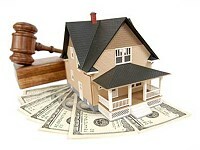 At this month’s foreclosure auction, Kim and I were prepared to bid on four properties. After losing the bid on the Peppermill Drive property to another investor, a new investor asked how we determined our T.O.P. (Top Offer Price) bid. It was a very good question – one that we’re asked regularly. Numbers and Statistics… What Are They Good For? 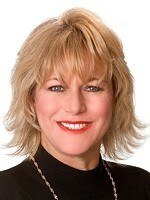 More and more we are hearing positive predictions for the housing market for the second half of 2011, as well as certainly for 2012 and beyond. We are not necessarily hearing these predictions on the news, but from people out there actively working in the real estate industry. Is it true? 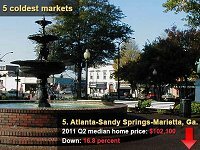 Is the Atlanta real estate market heating up again? Have housing prices bottomed out? Is it really cheaper to own that to rent? Are we at the all time best in the affordability index? Are we in a seller’s market, buyer’s market or both? This Thursday, August 18th at 7PM ET, we are doing a special “training opportunity” webcast with “Mr. Rehab” Pete Youngs on GoToWebinar. Pete is going to talk to us about his upcoming 3 Day Boot Camp on August 20th – 22nd with his brother Tony Youngs and is also going to share his professional insights with us on a wide variety of renovation topics. Register now and we will send you a email reminder before the webcast. Pete and Tony Youngs are holding a 3 day Boot Camp in Marietta, GA on August 20th through the 22nd. Tony Youngs will teach all the latest and greatest secrets to the Hidden Market. His foreclosure knowledge is invaluable in this market. Dont get what everybody gets, get the best deal! 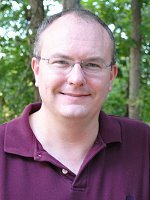 Pete Youngs will teach you how to make the offers even better with information on “toxic terror” and more! Learn the newest in rehab techniques. Pete will also be doing a special session on the new lead based paint laws and how they can impact your deal. No one can deliver a boot camp like these two Brothers. They flat out DELIVER! Pete and Tony look forward to seeing each one of you in your seat, asking questions! You can attend for $99 bring a friend for an addtional $50. That’s only $149 for 2 people for 3 jam packed days! So Reserve Your Seat NOW! 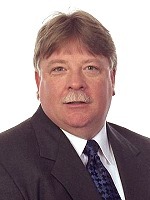 Michael Keefe is a specialist in buying tax deeds in Georgia. With 14 years experience in delinquent tax investing real estate business, he has been involved in over 900 tax deed purchases totaling over $26 million. As an active real estate investor, Michael has also purchased REO’s, wholesaled properties, rented, lease purchased, etc. Michael currently manages over 250 properties. 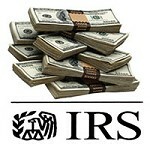 Make Big Real Estate Profits Tax Free? You Bet! Recently, I spoke to a group of real estate investors and was asked this question: “What is the best way to make money in real estate?” Easy answer: Internal Revenue Code (IRC) 121. I want to thank all of you who signed up for the Property Management Workshop, but inform you that we are postponing the event until October. One of the most common questions we received about the workshop was whether the training is going to be basic or advanced and therefore Chris and I are tweaking agenda to better suit your needs. We’re going to split the content into two trainings. One will cover the property management basics and the other will be more advanced. An updated agenda will be posted soon along with the new training date. We apologize for the inconvenience and look forward to seeing you at the training. Perfecting the property management model by Russ Hiner of Home Buyers of Georgia and Chris Littleton of Solutions Realty Network. Did you become an unexpected landlord? Are the tenants running the show? Are you being held hostage by your tenants? Are your tenants in a slow and no pay mode? Are you tired of being a landlord? This Property Management Training is going to help you understand how to be a better property manager. This one-day training will allow you to handle difficult tenants. By taking this training you are going to be able to have some guidelines to make better decisions. Being a better property manager will put money into your pocket. By being a taking this class you will learn and grasp your short comings. This dynamic training is going to make your life easier as a hands on property manager. You will feel more confident because you have rules and guidelines in order to work with your tenants in a professional manner. Your ability to guide and direct and manage people is key to your success in the area of long-term wealth building. From this training you will understand how to be able to hire the correct property management company. By Knowing the correct people to put on your power team you will save money and be able to manage the management better. Who’s Plugging into Your Business? Social networking sites have exploded in popularity in recent years, as it provides a fun, convenient way to remain connected with friends and family, and also provides a novel avenue for corporations to connect with consumers. However, organizations must be well-versed in the underlying risks of this form of communication, and should proactively approach management of these sites from both a security and employee usage standpoint. 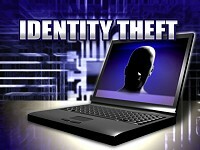 Do you know the 5 different types of Identity Theft?